The farm was created around the coordinates, (3000, 80, -1000) a large distance from the spawn chunks which I believe reside around the origin. In the description of the tutorial, there is a add-on for versions above 1.8 which I followed and completed. The capsules in the main wings contain twenty-one villagers each while the one to the west has four villagers. The center line lies on a positive X coordinate. 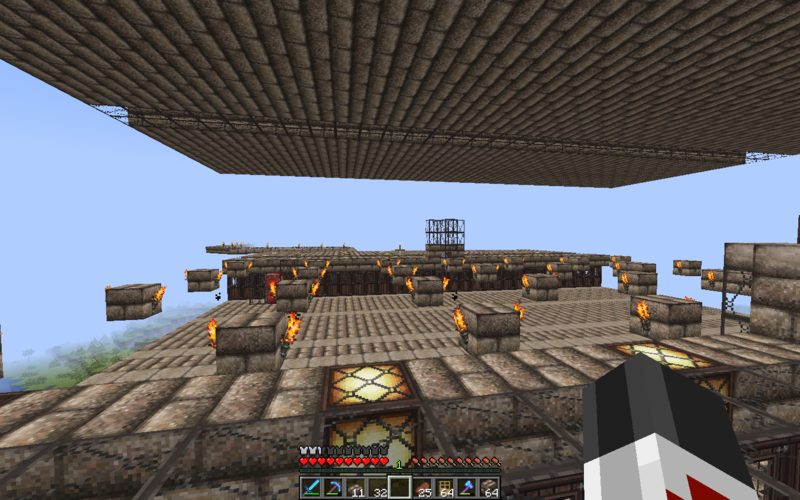 This is a realms server. I waited ten full seconds before breaking doors to make sure it was detected. I placed the doors East to West because my center line lies on a positive X coordinate. I started from the North side every time when placing my doors. The difficulty is on normal. The realm was originally started in version 1.12.2 and was updated to 1.13.2. The door placement was done with minimal errors. I logged out once during the door placement. The dispenser was loaded and working during the entirety of the door placement. 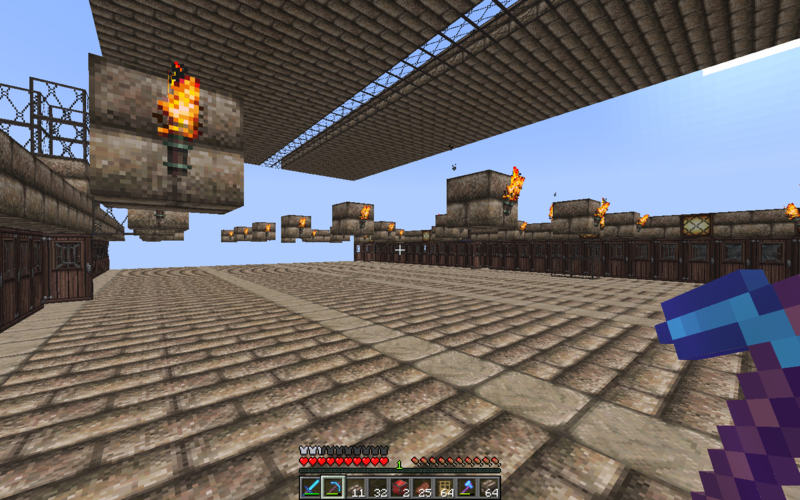 The spawn rates are very low, maybe one iron golem every ten minutes. Whats supposed to happen is four golems spawn in a matters of seconds but thats not the case. I did some research, (most of which being in the comments because I cannot seem to find it anywhere else) and found that low spawn rates where due to villages merging but there could be a number of reasons for that to happen which leaves me clueless on what to do. I also noticed that because of my center is located on a positive X coordinate, it causes some problems. If anyone is familiar with this build and has been successful with it, or knows about the village mechanics please hook me up with some information. Thanks. blocks away from them, can I just build it where I am and stay in the chunk? The Iron Pheonix (also by TangoTek) need not be in the spawn chunks (unlike the Titan), but also see IRON PHOENIX FIXED FOR 1.13.1 and 1.13.2! 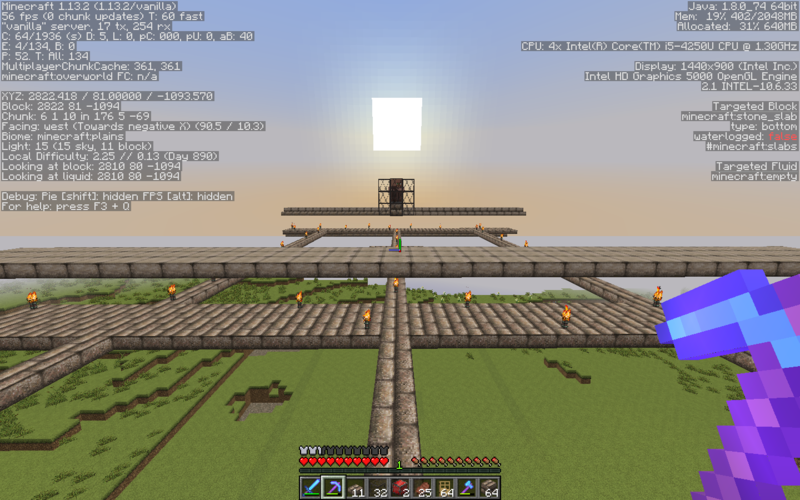 I just moved the world spawn point to the center of my farm. The spawn chunks should move with it. I need to know if my roofing is correct before I redo all the doors. What I have now is different from what is shown on the tutorial because my center point has a positive X value. Another thing to check before spending too much time is whether Realms treat the spawn chunks in the same way as the stand alone game does. Update: I finished doing the doors a third time and no luck. I've tried just about everything and am very disappointed in the farm. I'm also extremely disappointed in the person who made the tutorial. He could update the title of his video saying that it works in 1.13 but could not update his video and explain possible flaws with his build. I probably spent a total of twenty-four hours working on this build and no its all going to waste. I cannot explain how angry I am right now so I will end this with one sentence. The Iron Titan has been nerfed/broken for several updates. To keep the villages separated but overlapped, it needed the villagers to stay in active mode. If there are no players nearby, despite being in spawn chunks, they went into an "idle mode". When players returned, they went back into active mode and only then looked around for possible villages with proper doors/houses...and saw a crapload of doors and made one gigantic village. To stop this, the Iron Titan used the trick that a nether portal briefly acts like a player when an entity goes through it, keeping nearby villagers in active mode. This effect used to work for 30 seconds or so. Several updates ago, this got reduced to 6 seconds or so. If there was ever a gap between flowers/iron ingots being flung through the portal longer than this while no players were nearby, the villagers went into idle mode and the overlapped villages collapsed. I myself tried to come up with a fix for this involving a system of hoppers and droppers in the Nether to catch the poppies flung through the portal from the Titan and fling them right back through to the overworld, recycling the same poppies nigh-continuously, but unfortunately the nether-side chunks are not loaded long enough each time a poppy was flung through for this to work. 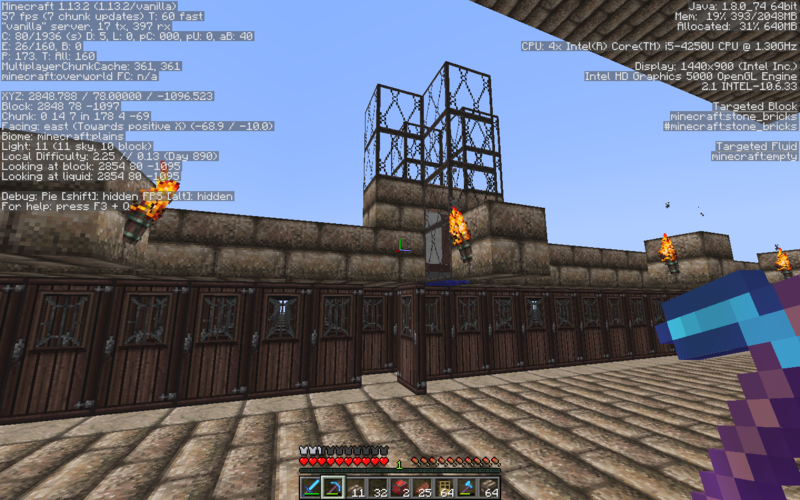 I now use a modified version of The Iron Swarm: 3 towers of 3 village pods each, all feeding into a single kill/collection system. It's not nearly as good as the Iron Titan, but what is? Nine villages all in spawn chunks easily produce enough iron for beacons and hoppers other usual iron uses, and with the changes to villager trading mechanics around the same time they nerfed the Iron Titan, selling iron to black-apron villagers was no longer the best mass-emerald-trading deal anyways. Potato/carrot/wheat autofarms and selling those crops to farmers are the best way to get tons of emeralds and XP via trading. 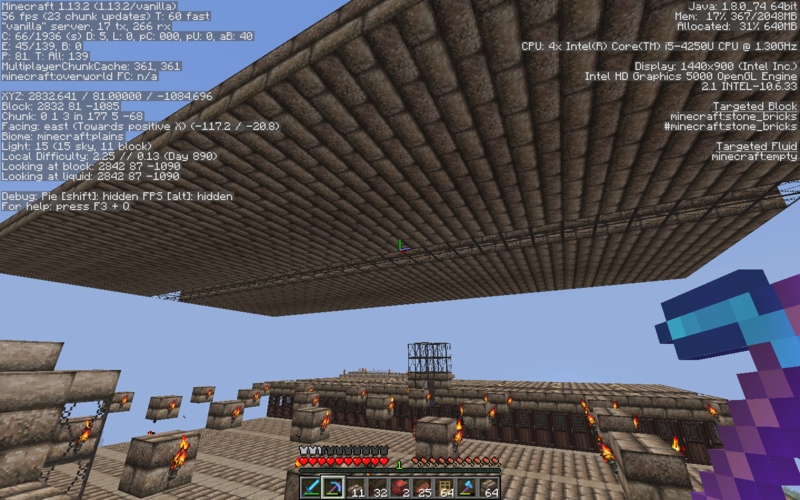 I have build this farm on a server but it crashed multible times while i was placing the doors, could it be possible that because of the crashing the villages merge? Very likely, almost inevitable even!